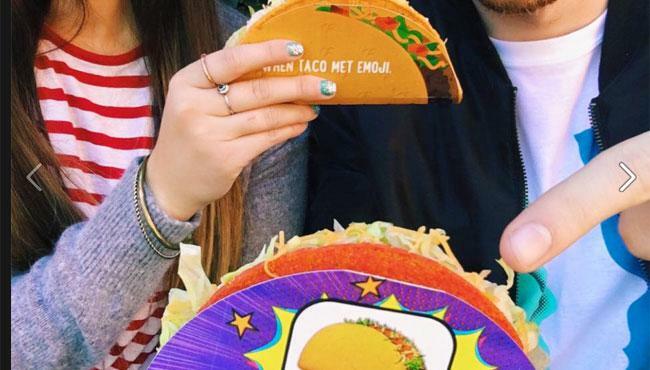 The Taco Bell Super Bowl 50 ad is going to introduce a new Taco Bell product. The new dish will be revealed during Taco Bell’s 30-second spot in the first quarter during Super Bowl® 50. Taco Bell will continue to tease its “biggest launch to date” with a series of ambiguous activities and pop-up events. To make things interesting for fans, Taco Bell released a press-release with important details blacked out. It looks like one of those de-classified NSA documents. See the censored Taco Bell Super Bowl ad announcement below. The new Taco Bell Super Bowl commercial was created by Deutsch LA. Taco Bell has last advertised in a Super Bowl in 2013. Before that year the fast food chain had a Super Bowl commercial in 2010.